The 43rd Claremorris Drama Festival took place from March 8th to 18th, 2013. John O’Mahony TD performed the official opening on Friday March 8th. The results for 2013 are now available on our Results page. The Adjudicator for the 2013 festival was Imelda McDonagh ADA from Wicklow. Click here for more details on Imelda. This entry was posted on March 20, 2013 by Enda McCallig. 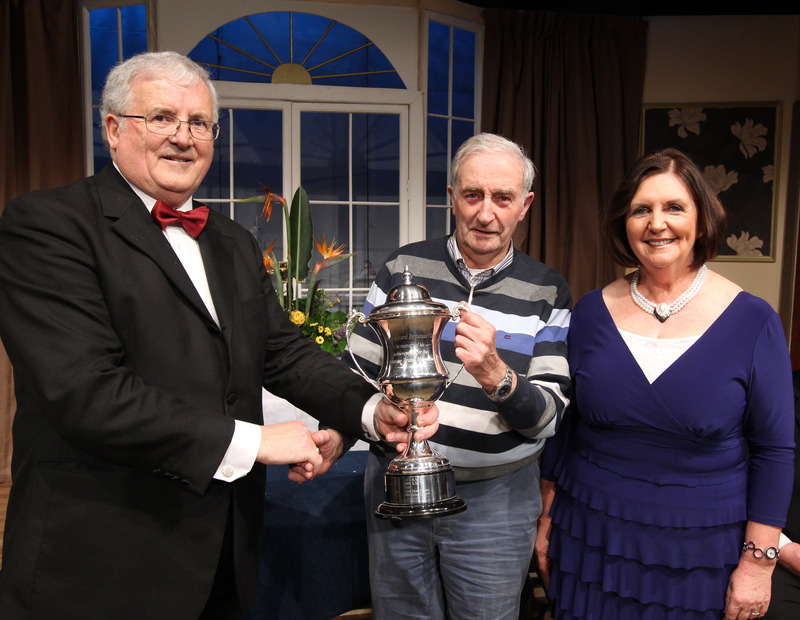 Congratulations to Corofin Dramatic Society who won the 2013 Blue Riband Trophy for their performance of Marina Carr’s “By the Bog of Cats”. This entry was posted on March 19, 2013 by Enda McCallig. We are pleased to announce that this year’s festival results will be broadcast live on Claremorris TV on Monday night March 18th – expected time around 11pm. For more information see the Claremorris Community Radio website. This entry was posted on March 12, 2013 by Enda McCallig. Congratulations to the winners of our Art Competition! Presentation of prizes will be at 3.30pm in the Dalton Inn Hotel on Sunday 10th March. See our Art Competition page for a full list of winners. This entry was posted on March 8, 2013 by Enda McCallig. With the 2013 festival kicking off this Friday night, there’s still time to snap up a 10-night season ticket for the great-value price of €75. This entry was posted on March 5, 2013 by Enda McCallig.